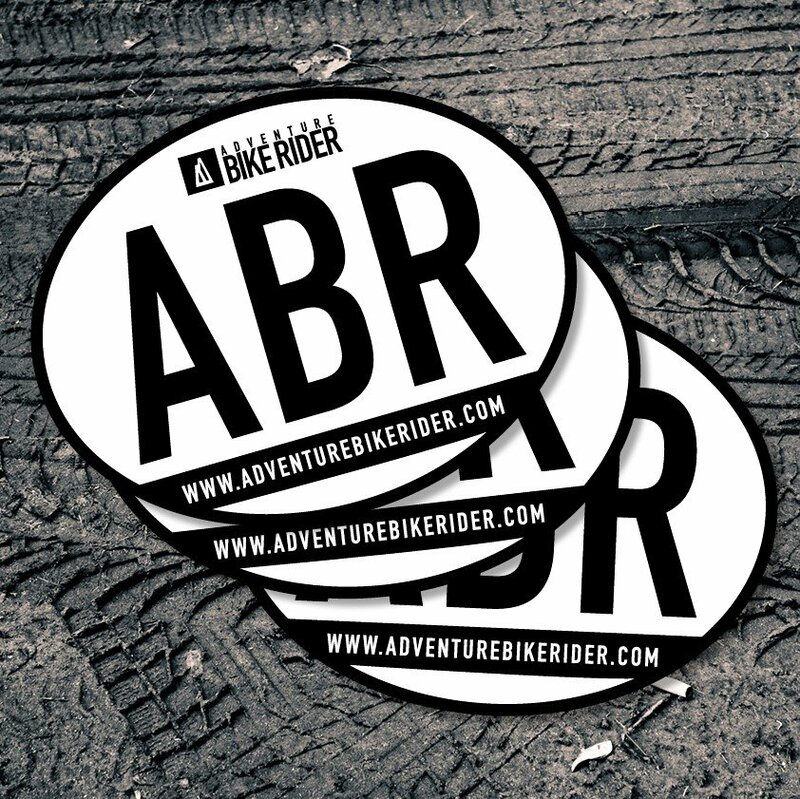 View basket “ABR Stickers X 3” has been added to your basket. If this is the first time you’ve come across Adventure Bike Rider (ABR) magazine, then…welcome. 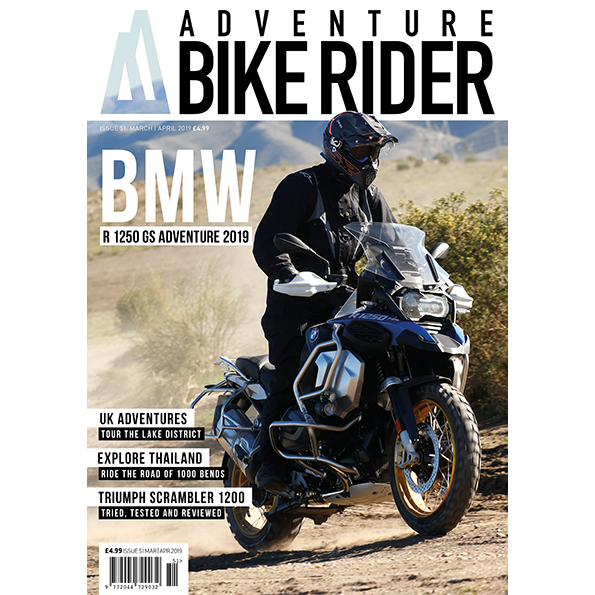 ABR has been published for near on 10 years and is regarded as the most inspirational, respected and popular motorcycle magazine in the UK (and world) for riders of adventure, trail and touring bikes. Just check out our passionate followers and community on the Adventure Bike Rider Facebook page for confirmation of that. Having said that ABR has always been more than just a one-dimensional magazine aimed at dedicated RTW explorers or riders of certain motorcycles. Indeed, our founding principles and one that we’ve stuck to through the years is that ‘it doesn’t matter what brand of motorcycle you ride or where you travel’. ‘If you have any aspirations of riding more and discovering new places and having new experiences, then we’re on the same wavelength’. You’ll find the pages of ABR packed with inspirational motorcycle and travel stories and images from all around the world, and being a UK based publication, we also cover locations closer to home and all across Europe. The magazine also features extensive, practical and respected gear and motorcycle reviews to enable you to make informed and educated choices when spending your cash. You’ll also find information and confidence building ‘how to’ features covering all aspects of motorcycle travel from riding across deserts to getting the best value when booking hotels in the USA and Europe. In short, if you ride a motorcycle and have any travel aspiration, near or far, then Adventure Bike Rider magazine is for you. When you take out a yearly subscription to ABR you pay just £24.99 (including postage for UK subscribers) which means a cost saving of 17% over the cover price plus the magazine is delivered to your door and you’ll never miss an issue, guaranteed. Click the ‘Sign up Button’ above to start your subscription. NB. All subscriptions start with the next available issue of Adventure Bike Rider. Right now that’s, May/June 2019 (issue 52). Alternatively, you may want to take advantage of our best value deal which combines a subscription to the paper issues of ABR magazine plus membership to our on-line Digital Library which will give you immediate access to all back issues plus current issues as they become available. Details of our subscription and Digital Library Bundle can be found here. Whilst we have thousands of readers in all corners of the world we’re fully aware of the price penalty of postage charges and the potential of long delivery times. With that in mind overseas readers will find our on-line Digital Library will save both money and time by providing immediate access to every issue of ABR we’ve ever published – that’s all back issues and new issues as they become available. Details of the Digital Library can be found here. Many thanks for visiting ABR and safe riding.